Lightroom has the concept of the identity plate where you can place either text or a graphic, like the name of your company… The problem is that I really, really don’t like how it’s implemented in Lightroom, and it’s even worth in Lightroom for Windows. The identity plates are used at the top left corner of the Lightroom screen, on the prints, and the slideshows. Today, we’ll deal with the print. 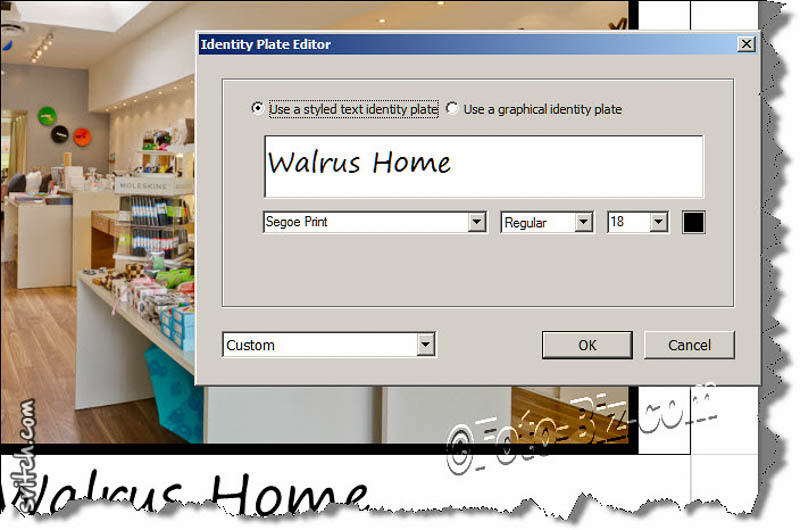 In Windows, the print identity plate can only be 1 line. Can’t find a way of centering the identity plate, it has to be eye-balled and hope for the best. It can be moved anywhere. It’s a pain to format. It was so frustrating that since I could copy and paste from Word into Photoshop, I decided to try it in Lightroom. Lo and behold, Lightroom kept the formatting, the fonts and the colors. It’s especially useful when I need to have different fonts and colors in the identity plate.